Magnesium reacts with hydrochloric acid, 1 of 3. Magnesium coil is placed in a test tubes with hydrochloric acid of different concentrations at room temperature: 0.01 M (Photo 1), 0.1 M (Photo 2), and 1 M (Photo 3). 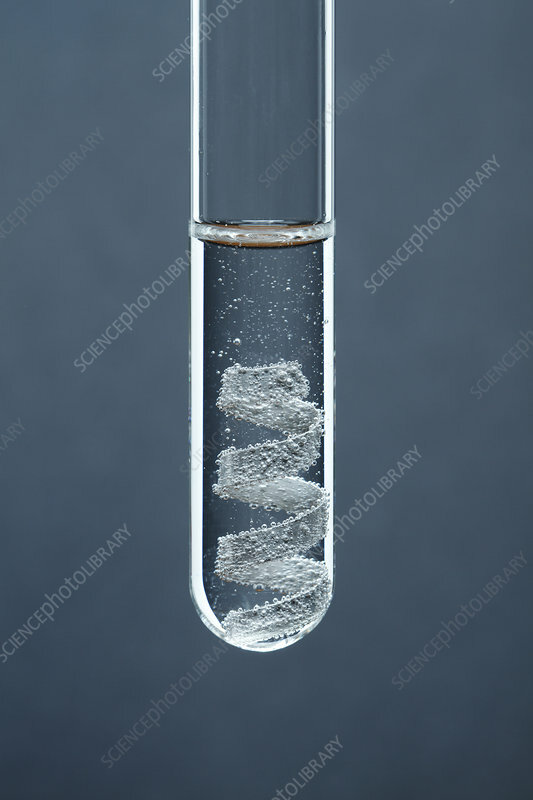 Magnesium reacts with the acid producing hydrogen bubbles: Mg + HCl -> MgCl2 + H2. The reaction proceeds more vigorously with increasing concentration of the acid. This is an example of a single displacement reaction. Photo 1 of 3.